A new study tells the tale of a new species of plant discovered in Valentine, TX, where a decades-old case of mistaken identity of the species’ only two other known specimens was cleared up in the process. The plant was actually discovered in November of 2013 on property owned by Valentine resident Boyd Elder. 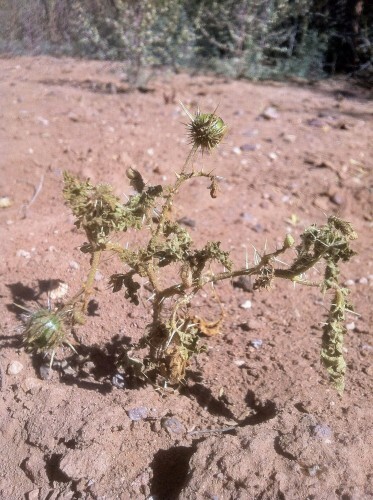 Sul Ross State University student (and now graduate) Jeffrey Kelling found the plant after one of Bohs’ own graduate students from Utah had failed to find the plant on a previous trip to the region. She says Kelling scoured the Valentine area looking for the plant for days. Bohs describes Solanum Cordicitum as a “pretty humble-looking plant,” with its small stature and prickly leaves and stems. The plant is just over a foot tall, and it’s an “annual,” meaning it only grows for one year, flowers, produces fruit, and then dies. Since the species doesn’t sprout every year, Bohs says there’s a chance more of them could be found in the area. The hunt for Solanum Cordicitum is part of a multi-million-dollar study funded by the National Science Foundation aimed at creating a comprehensive online inventory of all 1,500 species in the genus Solanum, one of the largest scientific categories of flowering plants in the world. 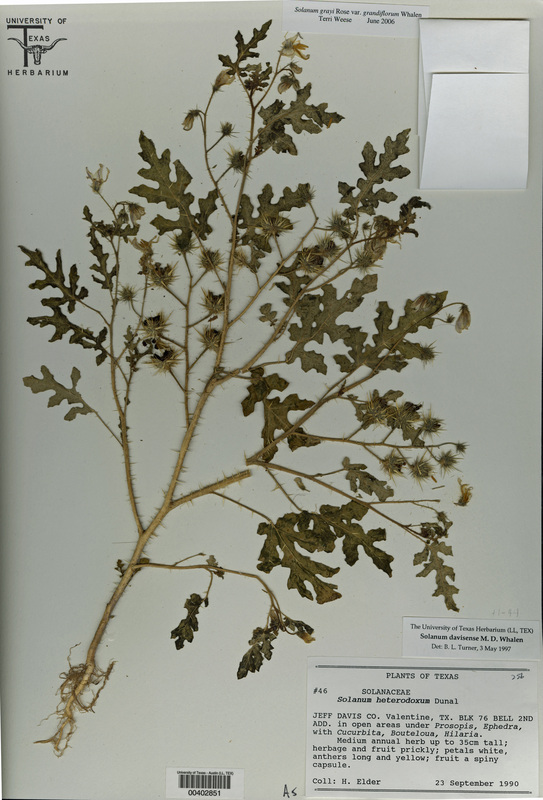 As part of the study, Bohs and her colleagues were studying other thorny species within the Solanum genus, focusing on the plants’ flowers and stems. Two other Solanum Cordicitum plants had been discovered in West Texas back in 1974 and 1990, but after some new DNA testing, the team discovered an anomaly. “We found that these specimens didn’t quite fit in with the species they were identified as before,” Bohs says. The finding in Valentine proved those two older plants belonged to this new species – the three specimens are the only plants to have been found by botanists. Bohs says Kelling was ecstatic about the find. “He says he fell to his knees in front of the plant when he found it,” she says. 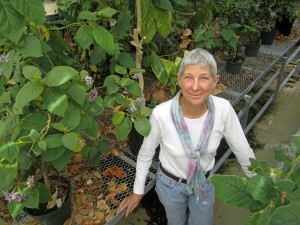 The study will be published in the August issue of the Journal of of the Botanical Research Institute of Texas. Lynn Bohs welcomes anyone wanting to participate in the hunt for more Solanum Cordicitum to contact her at bohs@biology.utah.edu.